St. Mark’s provides help to needy people in the community in many different ways. In several instances throughout the year we contribute to the efforts of Metropolitan Ministries and the Jewish Family Services. Peanut Butter and Tuna Food Drive. Throughout the year St Mark’s collects protein source foods. We donate these donations to the Jewish Community Center’s food pantry. Backpacks and School Supply Drive. As a part of our Vacation Bible School, each summer we collect new backpacks and school supplies to make sure that low income children start their school year with everything they need. These donations are then given to Metropolitan Ministries for their Backpacks for Hope campaign. Christmas Angel Tree. St Mark’s cooperates with Jewish Family Services’ efforts to provide gifts and toys to needy children in the community. At Christmastime, our Angel Tree and lobby overflows with these donations of love. Thanksgiving Meals for the Needy. Again, we cooperate with Jewish Family Services to make sure that low income families and elderly people in our community have a Thanksgiving meal. Instead of collecting food, we ask for donations of Boston Market gift cards. Gift tags hang on the Christmas Angel Tree. 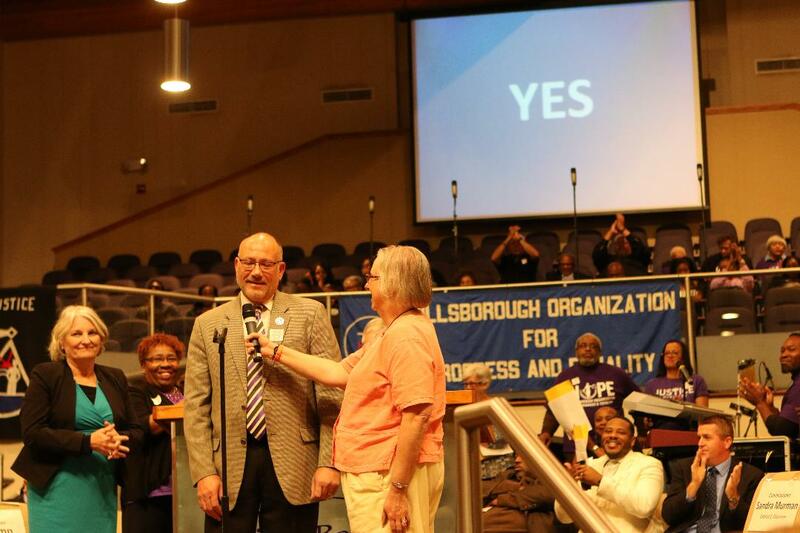 St. Mark’s is a major participant in the justice ministry of HOPE- Hillsborough Organization for Progress and Equality. 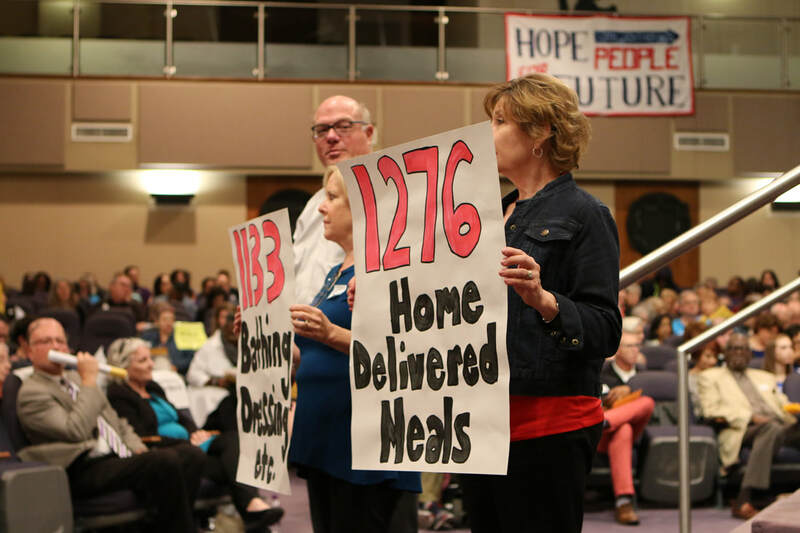 Joining with 24 other congregations, HOPE has agreed to focus their efforts on affordable housing, services to the elderly to enable them to age in place, and expanding civil citation in lieu of arrest for minors with low level infractions. St. Mark’s has 15 Network Members. Five of our parishioners serve on HOPE committees. Our Little Roses Mission in Honduras. St Mark’s supports an annual medical mission trip to Our Little Roses school for girls in Honduras. We also sponsor a 7 year old child, Evelyn, providing her with an educational scholarship, school clothes and school supplies.